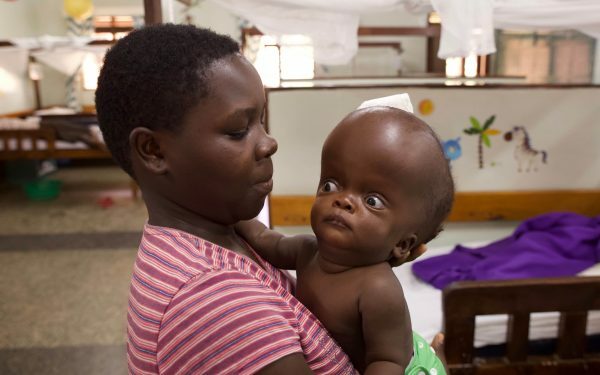 The picture above is of CURE in Uganda. 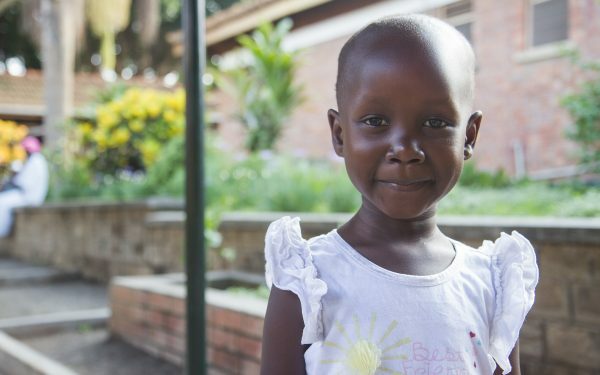 Everyone who serves with CURE in Uganda, from medical professionals to office staff, are dedicated to providing the highest quality medical and spiritual care to people who, without CURE, couldn't find it and couldn't afford it, just like Innocent. To do that, we're inviting you to partner with us. We need to raise approximately $1000 to treat children like Innocent. When you give a gift through Innocent's CUREkids profile, your contribution will help us continue our work in countries like Uganda. Have more questions? Ask us. When you partner with us monthly, we'll send you an email each month to introduce you to a different child who was helped because of your generosity. You can choose to follow their updates and send them get well messages. That means that each year, you're a part of helping 12 different children, beginning with Innocent. We call it being a CURE Hero! Mark, a taxi driver and his wife Suzan, a peasant farmer live near Lira and they have three children with Innocent being their youngest child. 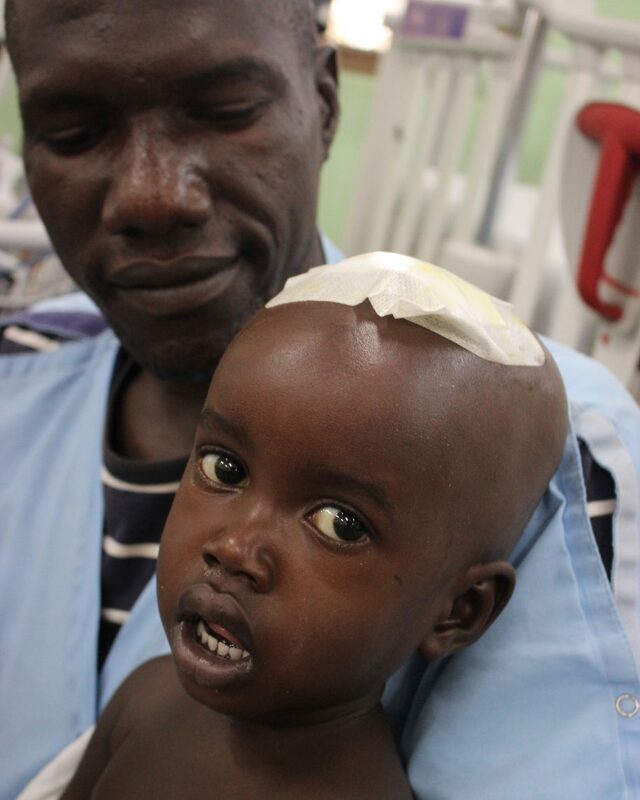 Innocent was born with a Dermoid cyst which was very tiny at the top of his head. Gradually as he grew, the cyst kept increasing in size yet Mark thought it would vanish on its own over time. When it didn't, he became scared and took Innocent to the regional referral hospital but was told that his son was too young to have surgery. When Innocent made three years, the cyst became even bigger and other kids started to tease him about it. “When he would be playing with his friends sometimes I would hear them making fun of his head and that would make me feel really bad, but I don’t think Innocent gets bothered because he keeps playing and doesn’t look sad even when they laugh at him. I think it is because he is still young, so I want this problem (Dermoid cyst) to be handled before he gets older,” said Mark. 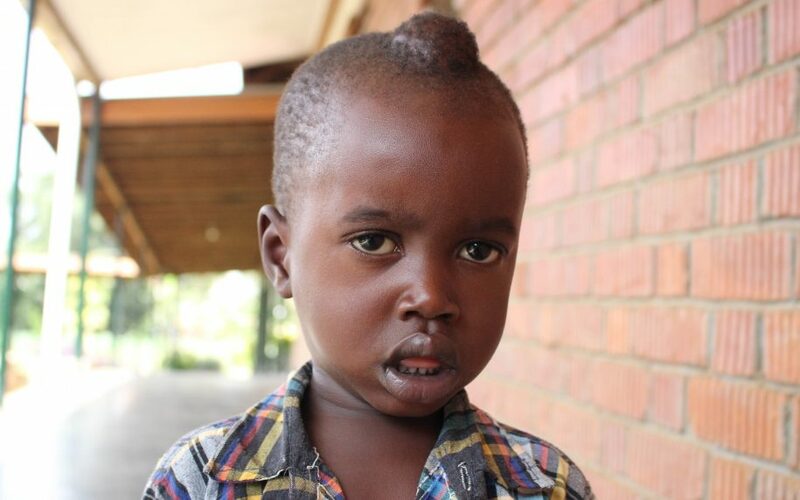 One day he met his friend who is a guard at the Lira medical center, the health facility where CURE Uganda holds its mobile clinics, and was told that there would be a clinic the following day so he brought Innocent. Our doctors diagnosed Innocent's dermoid cyst. 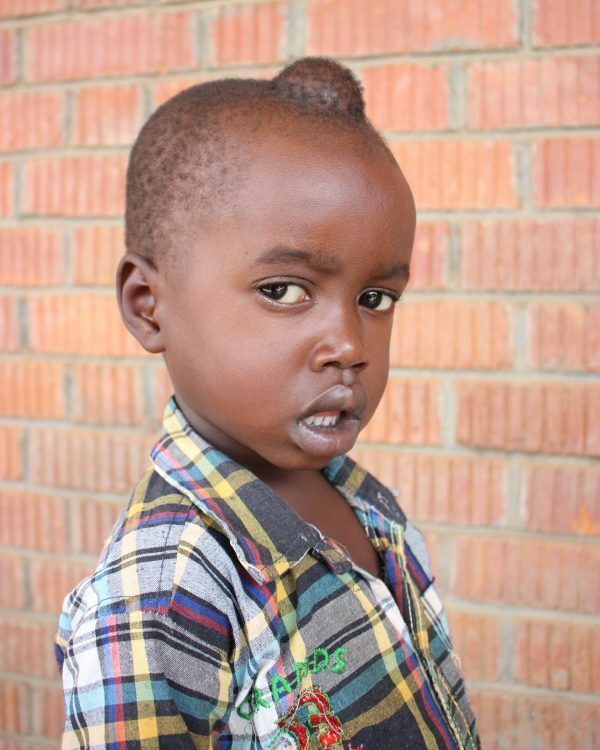 Three-year old Innocent was eventually referred to CURE Uganda for surgery now that they are here, Innocent has been admitted. 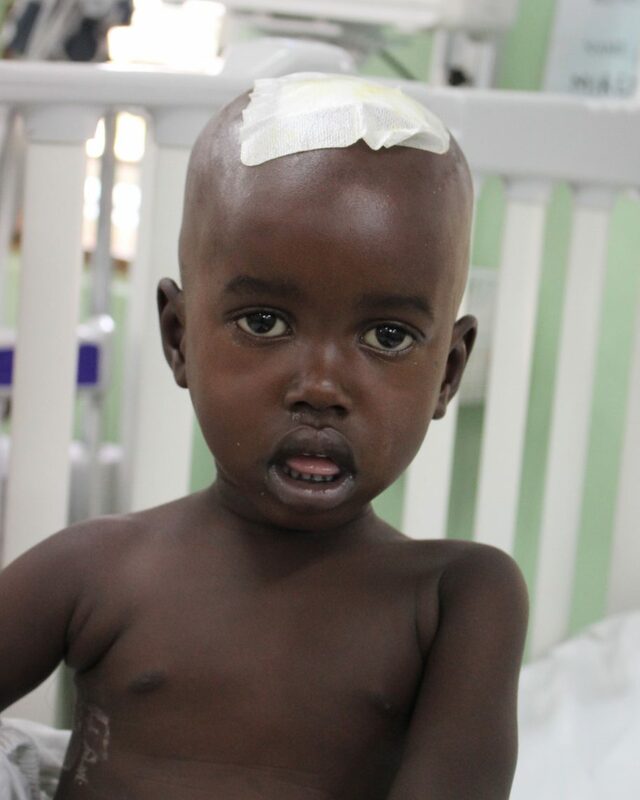 Join us in praying for Innocent's healing! “Innocent slept well, he is happy but scared of all the machines here (in ICU) so he wanted me by his side most of the night. I think he will relax more when we go back to the ward,” Mark said. Innocent will be transferred back to the ward this morning because he is stable and doing well after his successful surgery. Hopefully by tomorrow Innocent will be discharged and be headed back home to his family. We give God the glory and are thankful for your support and prayers! 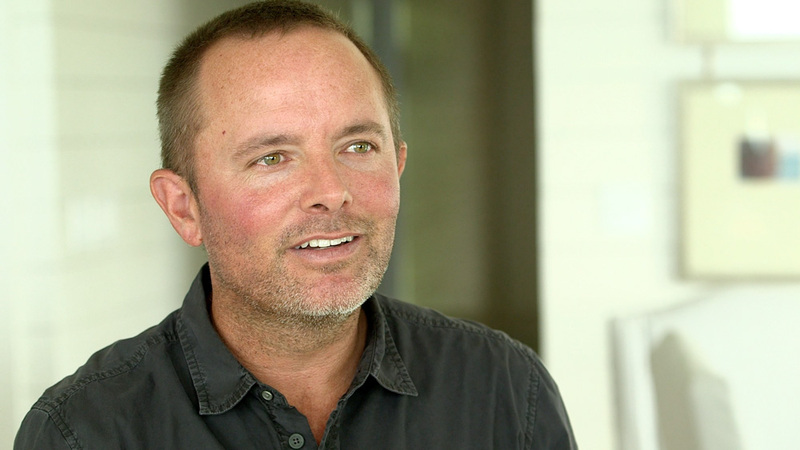 “I praise God that this swelling is going to be removed,” Mark said this morning. 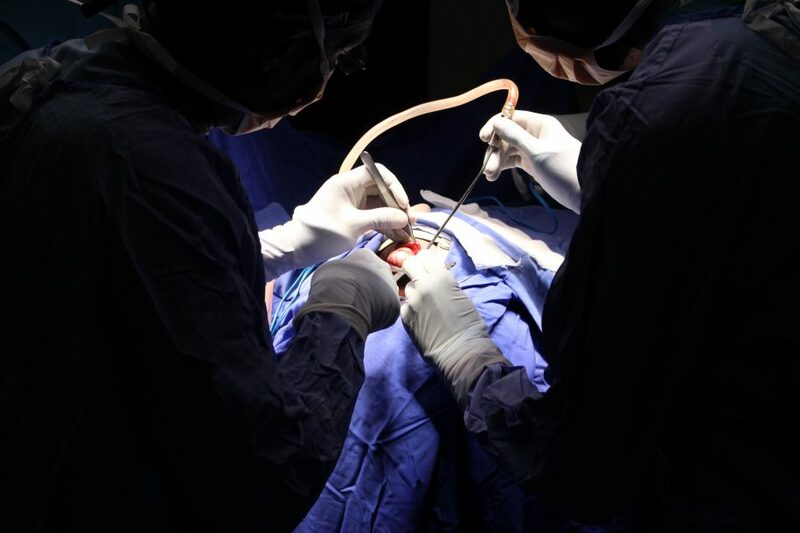 Innocent’s surgery started at 3:00pm and it took Dr. John just a few minutes to remove the dermoid cyst. Innocent will spend tonight in ICU recovering. Please be praying for him! “He is going to have surgery tomorrow and I am confident that he will be fine because my God is a God of miracles,” said Mark. He added that his family and church back at home are praying for Innocent too. 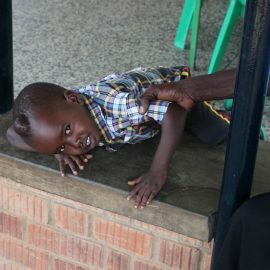 As for Innocent, he spends most of his days playing with his dad and with the wheelchairs around the hospital corridors but shies away when he sees our camera! Please be praying that tomorrow’s surgery is successful. There are currently 117 different people who are a part of Innocent's support community. What about you? 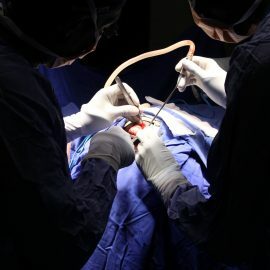 This is Innocent's 1st procedure. Innocent's first procedure photos are not yet available. 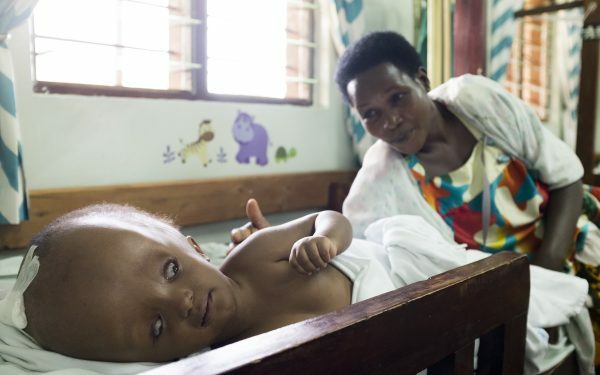 We're sending your message for Innocent to CURE Uganda. 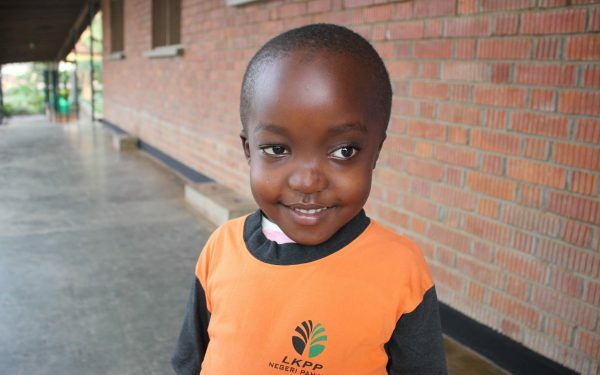 Every month, be a Hero to a child at a CURE Hospital, beginning with Innocent. Real-time updates will let you see the impact of your giving monthly! 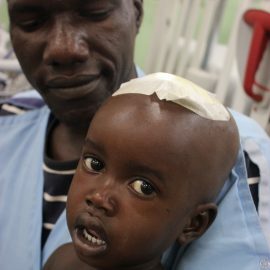 Your generosity will provide major underwriting for a surgery at CURE Uganda while you receive real-time updates on Innocent.